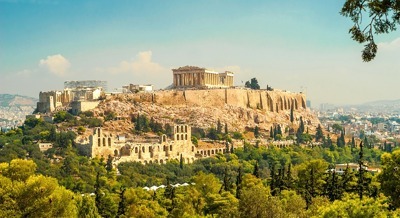 An incredibly profitable and reasonable idea is to order a quality car for a beautiful trip over the legendary Athens. If to plan a productive and exciting trip to Athens to visit the sights of the city, each should think first and foremost about a stable company where to order a good car for traveling around the city and outside it. Service 8rental.com. It is the place where each can book one of the vehicles of Standard, Business and First Class. The cars are equipped with a host of amenities, and the salons of each are always clean and very comfortable inside. Athens - the city of ancient civilization, and, consequently, the concentration of both the cultural, and economic and political life of the country. It is the center of international tourism because the sights of the city are known throughout the world and have long been symbols of historical significance. In the capital of Greece, there are famous sights - the gorgeous National Library, the Academy of Sciences, the legendary University of Athens, the Byzantine Museum and the Acropolis Museum, which keeps the most valuable exhibits. The ancient Plaka urban area is located on the northern slope of the Acropolis with narrow, crooked streets. Here tourists will meet small houses with private taverns, small restaurants, numerous souvenir shops. There are two large parks and the Olympic Stadium in Athens. 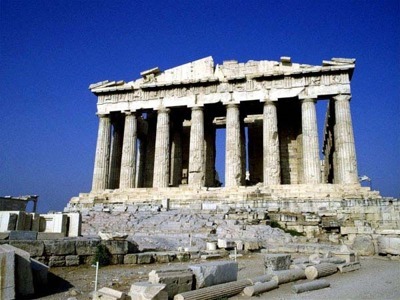 And of course, Greece begins with the most recognizable in the world attractions of Athens - the ancient Acropolis, which is a masterpiece of world significance. The majestic Parthenon, or the temple of the Virgin of Athena - the patroness of the city, proudly towers over the town and is perfectly visible from any of its points. The Areopagus is a low hill in the northwest of the Acropolis, with a leveled platform on top, which used to be the seat of the Council of Elders. Also, one of the most important sights of Athens is Keramikos, where the ashes of the famous inhabitants of the capital and Likavitos are buried, surrounded by pine forests, a hill in the center of the city, on top of which stands the picturesque church of St. George. Neighborhoods Athens is also rich in attractions: there is a burial mound with the name "Marathon" - this is the location of the museum, founded in honor of the warriors who lay their heads in the Marathon battle around 490 BC. Cape Sounion is famous for the fact that it houses the temple of Poseidon and the ruins of the magnificent temple of Athena. A trip to Athens with use of the chic auto service 8rental.com. Will undoubtedly become one of the most memorable events in life. After using this company for a trip to the charming Athens, every tourist can see all the historically significant places of the city traveling on a comfortable and classy car. 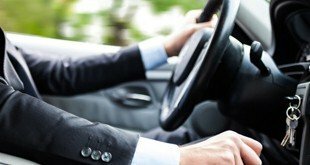 At the wheel of a great car of the company, tourists will see a neatly dressed, educated and polite driver. He will arrive at the airport or to their hotel at a fixed time because all the service drivers are very punctual and have a serious attitude to their duties.